We just attended the official launch of Econet’s EcoSchool that we spoke about yesterday. This time it wasn’t just a pilot launch but the roll out of the service to the whole country. Speaking at the launch the Head of Econet Services, Darlington Mandivenga mentioned that the EcoSchool product and service will be made available to all universities and all their faculties in Zimbabwe starting tomorrow. EcoSchool has taken time to introduce changes based on observations, suggestions and recommendations from the pilot phase. 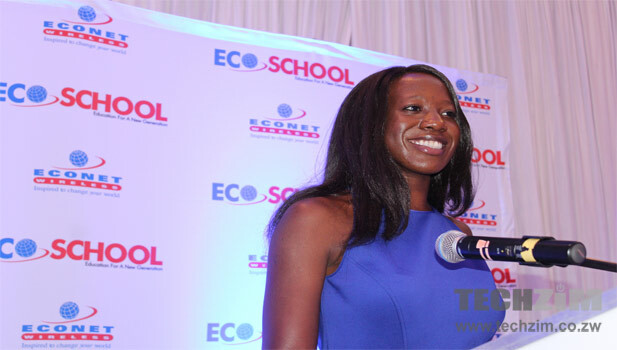 Econet intends on introducing the EcoSchool product to primary and secondary school learners at a later stage. There will be EcoSchool Kiosks and brand ambassadors stationed at each of these tertiary institutions. The device will also be available at every Econet store across the country. Subscribers can get information on EcoSchool Product by dialing 118 or they can go to the EcoSchool website. Can a Non University person buy this Ecoschool Tablet and use it for non academic purposes? You need a student ID number from one of the universities in Zimbabwe to get the device. Or ka mari kedrink to get a student to buy one for you. Ko Ma High School Kids nema rova (vakapedza chikoro), who will cater for them? Remember we need to create the 2.2 million Youth Jobs! so will i be able to browse some non accademical sites with that tab..like when i finish my program will th tab not become useless without the use of the ecoschool websites….. Surely that will defeat the whole purpose of the programm! We thank you guys for the Ecoschool program we will continue to support you. Things are changing and Econet have to very innovative to adjust with the changing technological trend for them to continue making profits. Look at Telone and Zimpost if you want a case study on how lack of innovation can have to an organisation! can somebody explain to me why i should use EcoSchool if I already have access to Wikipedia, Google, Bing and other free resources that I can search on the internet?????? Nice brand many thanks! Introduce one for distance learners also.